Now that the Affordable Care Act is being implemented we are beginning to see that what government promises is not always what is delivered. Sweeping reform, no matter how well intentioned, always has unintended consequences, collateral damage and a way of perverting the way we do our work. Just look at the increase in the number of part time jobs and the reduction in full time jobs that the PPACA incentivized. Doctors have stopped taking new Medicaid patients. Some doctors are even dropping out of the medical practice altogether because they feel they will not be able to give their patients the best care under the new guidelines. Health care plans are being discontinued at a dizzying rate. In our state alone we are down to only three providers and rapidly heading towards one because of the way the regulations are being written. The President's promises are quickly dissolving. We are getting similar promises with common core. They are just a set of standards telling you what skills a child should master by what age. Local districts can still control curriculum. They do not tell teachers how to teach. However, just as with the new health care mandates, the associated regulations and weirdness that always happens at the point of implementation are starting to make a mockery of these promises. "They are just a set of standards." Well, not really. They come with associated assessments. As a set of standards alone they would be almost useless. The key is accountability and we can only achieve accountability through testing to "make sure" teachers are teaching these standards, so the standards must be paired with assessments. And what's the point of assessing if you don't do something with that information. Back to the accountability table. To make sure the teachers understand the importance of these standards and teaching them we will tie teacher evaluations to the student scores on these assessments. In addition, since almost every district has their Average Yearly Progress (AYP) tied to teacher ratings and student test scores, we have doubled down on the importance and effect of the testing. Really they're not just a set of standards, they are an element of an incredibly important standardized testing and school accountability system. "Local districts still control curriculum." They do and they don't. They are able to choose whatever curriculum they want, so long as it leads to good scores on the assessments. That they have to do, or they risk losing their accreditation. DESE just reported to the House Interim Committee that the Missouri School Improvement Plan (MSIP) has shifted its focus from resource allocation to student outcomes (which is insider speak for test scores.) 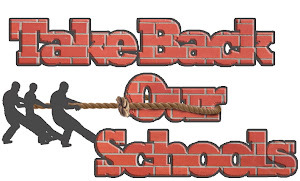 Districts will have to choose their curriculum very carefully in light of this switch by DESE. Rick Hess of the American Enterprise Institute wrote in a post for Ed Week about four questions that need to be asked regarding common core. One of the questions had to do with curriculum choices. "Three, my AEI colleague Mike McShane has noted that an Amazon search yields more than 30,000 results, many of those claiming to be Common Core-aligned. How schools or systems are supposed to make sense of that is far from clear. Currently, no one can really tell which texts or resources are actually aligned to the Common Core, much less which ones are high-quality. I hosted a small gathering that included several prominent supes earlier this year; off the record, just about all conceded they were unsure how to move on this front. Who's going to help districts sort through all this or decide what constitutes alignment? (By the way, if a national outfit takes the lead, note that we're suddenly looking at a de facto national standard for materials.)" 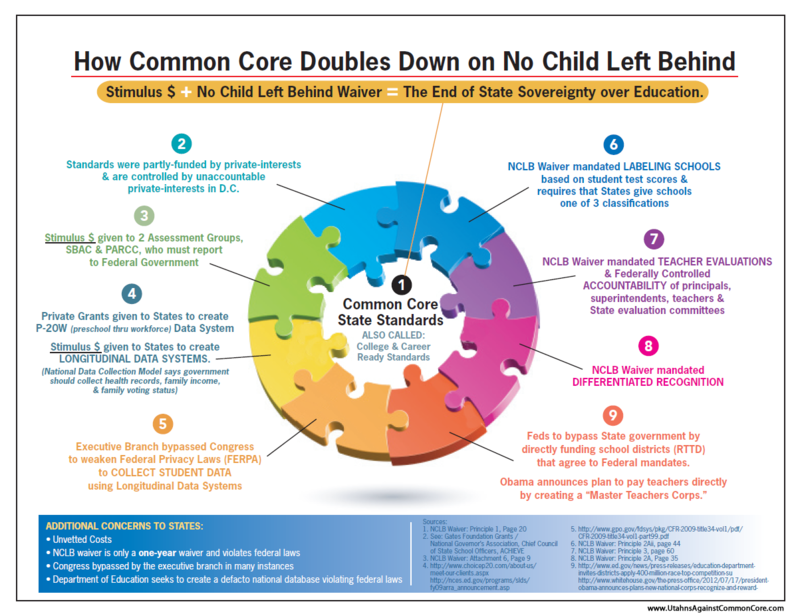 Every district is in the process of shifting their curriculum in anticipation of the full implementation of common core next school year. That is a challenging proposition since they have not yet seen the assessments that they will be judged on and, as Hess noted, the field of those claiming to align to the standards is vast. Districts control the curriculum until those tests are out and they can see which materials align best to the test. Because such extreme emphasis has been placed on test scores, they will only pick curriculum that leads to higher test scores. It becomes the developers of the tests who ultimately choose the curriculum. "They do not tell teachers how to teach." This statement in particular is fast being blown out of the water of truth. A teacher in Wyoming spoke of her experience with the new teacher evaluation system by McREL which is just one of a number of prepackage teacher evaluation systems being sold to districts around the country now. Their overarching philosophies are very similar. The products are differentiated by user interface and platform. "Teachers must understand what comprises a 21st century education and how their practice must reflect the demands of the education in order to realize a new vision of teaching. There are detailed explanations of these five goals in McREL's materials. Standard 4 Section f states "Teachers help students work in teams and develop leadership qualities. Teachers teach the importance of cooperation and collaboration. They organize learning teams in order to help students define roles, strengthen social ties, improve communication and collaborative skills, interact with people from different cultures and backgrounds, and develop leadership qualities." This teacher had been teaching collaborative skills in her classroom for a number of years, but was informed by her principal that if she wanted to receive the top rating on her evaluation she would have to take a professional development course that used a "new" approach to teaching these skills. In other words, in order to keep her job, she was going to have to change they way she taught even if it went against her personal philosophy. The majority of the teachers simply roll their eyes and just do whatever the administration tells them. They will jump through whatever hoops are put infront of them in order to keep their jobs. They won't speak up because the administrator stepping into their classroom a couple times a year doesn't have time to do an in depth analysis of their teaching and instead is looking to check boxes off on a form. They would prefer to have teachers who just go along to get a long under his or her control. 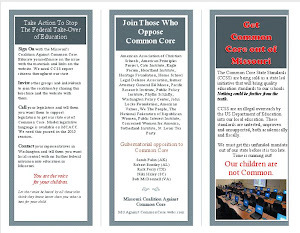 The promoters of common core who pat us on the head while reciting these promises are beginning to feel the heat from those in the field where the promises are being road tested and falling apart.